Colleen is NO LONGER taking on new BM clients. 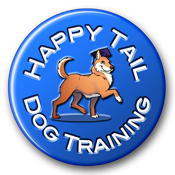 Click here for a list of recommended trainers/behaviorists who can help you. What's Involved In Modifying Unwanted Behaviors? 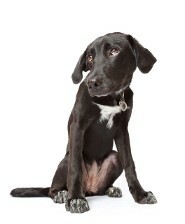 Canine behavior is highly complex and every dog is an individual. A behavior modification strategy that works well for one dog may not work for another; that is why it’s best to develop a customized approach for modifying your dog’s unwanted behaviors. The best way to develop a customized approach is to schedule a behavior modification (BM) consultation. During this BM consult, we will review the detailed history of your pet's behavior including all circumstances and events that could be triggering the unwanted behavior(s). We will then discuss different behavior modification strategies and work together to develop a customized approach and training plan all members of your family feel they can commit to executing. We will wrap up the session with any pertinent training demonstrations and discuss any remaining questions. You will also be given detailed written instructions outlining the plan we discussed, typically within 48 to 72 hours after the consultation appointment. Packages of follow-up private training sessions are available for a discount: 3 x 1.0 hour sessions for $255 or 5 x 1.0 hour for $399. HTDT LLC consultation fees are based on our expertise, individualized treatment plans, length of appointment, and follow-up support. They are comparable to those of other behavior consultants with a similar educational background and experience in behavior modification. Colleen is located in Phoenix MD and is available for behavior modification consultations at the client's home for the following Baltimore suburbs: Baldwin, Bel Air North, Carney, Cockeysville, Fallston, Forest Hill, Fork, Garrison, Glen Arm, Glencoe, Hereford, Hunt Valley, Hydes, Jacksonville, Jarrettsville, Kingsville, Lutherville-Timonium, Mays Chapel, Montkon, parts of Owings Mills, Parkton, Perry Hall, Phoenix, Pleasant Hills, parts of Reisterstown, Sparks, White Hall, and White Marsh Maryland. Colleen is available for in-home consultations outside of these areas for a travel fee in addition to her standard consult fees. Contact Colleen directly for an estimate of the travel fee, which is dependent on travel time from Phoenix. Or alternatively, the client may travel to HTDT's facility in Phoenix MD to waive the travel fee. CONTACT COLLEEN if you have any additional questions not answered by the above links and information and/or if you'd like to further discuss how I can help you and your family achieve your goals.